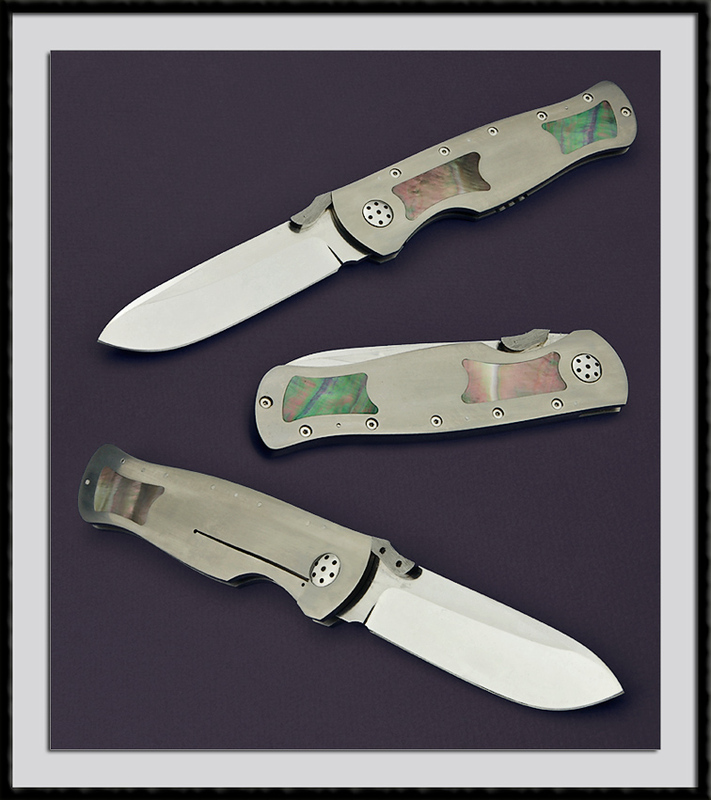 Lloyd A McConnell crafted this large frame lock folder, Hollow ground ATS-34 Blade steel, BL = 4 1/4"", OAL = 10 1/4", Ti frame with Black Lip Pearl inserts and nice Stag scales. Condition is Mint. Solid lockup.